Sara Barnard lives in Brighton, England, and does all her best writing on trains. She loves books, book people, and book things. She gets her love of words from her dad, who made sure she always had books to read and introduced her to the wonders of secondhand bookshops at a young age. Sara has lived in Canada, worked in India, and once spent a night in an ice hotel. She studied American literature with creative writing at university and never stopped reading YA. Sara is inspired by what-ifs and people. She thinks sad books are good for the soul and happy books lift the heart. She hopes to write lots of books that do both. 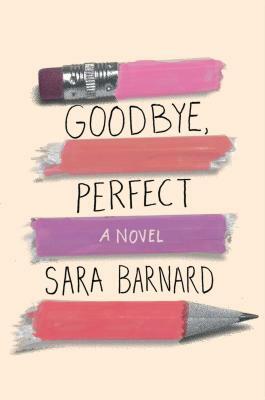 "For fans of books by Morgan Matson and Sarah Dessen"
"This gripping novel examines anxiety, identity, pressure and power with Barnard’s characteristic lightness of touch. " Eden is shocked to the core to find that her overachieving best friend, Bonnie, has run away; all she knows is that Bonnie has claimed recently to have a secret boyfriend, Jack, and Eden’s further flabbergasted when it’s revealed that Jack is the school music teacher and he and Bonnie have disappeared together. As the hunt for fifteen-year-old Bonnie ramps up, Eden receives cheerful texts from the happy fugitive, which she keeps secret out of loyalty. She’s increasingly distressed, however, by what she didn’t know about her best friend and by her friend’s seeming disregard for everyone else in her life, and she decides it’s up to her to bring Bonnie home. This British import offers an enticingly dramatic story, and the book explores serious aspects of the situation without robbing it of juice. Eden, for instance, is an older adoptee who’s deliberately estranged from her drug-using birth mother, and an indifferent student whose friendship with head prefect Bonnie mystifies teachers; she’s also deeply realistic in her failure to see when she crosses the jackass line (“I was the one lighting all the fires and acting surprised when they blew up in my face”). The book additionally interrogates issues of culpability and consent when it comes to the relationship between a teacher and a student, the publicly perceived divisions between “good” girls like Bonnie and the rest, and the human tendency to assume we know people when we’ve largely colored in the picture ourselves. The result is a highly booktalkable work with some provocative questions about virtue and girlhood that should speak to a host of young readers.